The Living with A Long Term Condition (LWLTC) course is available for anyone living in Derbyshire who has one or more long-term health conditions such as asthma, arthritis, Multiple Sclerosis (MS), depression, diabetes, Chronic Obstructive Pulmonary Disease (COPD), heart disease, sickle cell, HIV, ME/chronic fatigue, chronic pain or any other condition. The course is also available and has proved to be beneficial for carers of someone with a long term condition. The course is designed to support and encourage participants on how to live better with their health condition and improve their quality of life. 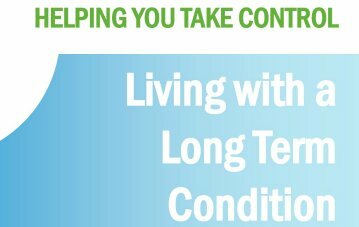 LWLTC is a free 6-week course that can help a person to take more control of their health by learning new skills to self manage their condition on a daily basis. The course focuses on what a person can do, rather than what they can’t. Each session is one day a week and lasts two and a half hours and refreshments are provided.